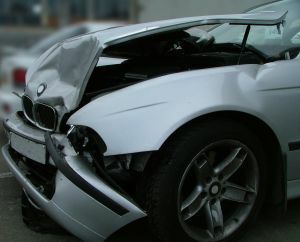 A car accident can be an extremely stressful experience, and sometimes the initial shock of being involved in one can affect a person’s ability to think clearly. Many people that are charged with leaving the scene of an accident do not even realize what they have done wrong until long after the incident. There is no set amount of time that a person charged with this crime has to actually leave the scene. Police can use their discretion to determine whether to charge a person. For example, we have seen hit and run charges put on a driver that left the scene for a matter of minutes and then returned. In this particular case, police did not care that the driver had voluntarily returned to the scene. The driver was arrested and charged with a misdemeanor. On the other hand the fact that the driver actually returned was a mitigating factor that we were able to use in court. In any serious car, truck, or motorcycle accident the drivers involved have a duty exchange information and to remain at the scene until police show up. If the driver who caused the accident does not stay at the scene they are risking serious consequences. Leaving the scene of an accident can result in fines or even a lengthy jail sentence in Maryland depending on the severity of the injuries. If a person causes serious injury or death on the road and does not stay at the scene, he or she faces significant time and permanent conviction. Hit and run cases are some of the toughest cases to defend, and if you or a loved one have been charged with this crime it is extremely important to retain an aggressive and experienced criminal defense lawyer. Regardless of whether a person eventually returns to the scene of the accident or flees and does not come back, the state and the judge will not be sympathetic. Even first time offenders are at a serious risk of jail or a permanent conviction if they don’t have someone in their corner fighting for them.